ShortsHD once again presents this year's Academy Award nominated animated, live action and documentary short films at a theater or streaming device near you. These special programs are usually the only way for most movie fans to see these otherwise illusive short film nominees that can make our break your office Oscar pool. In the first of three parts, Movie Dearest takes a look at this year's five nominees for Best Animated Short Films. Unlike the international mix that is usually the case, this year's batch of nominated toons hails exclusively from North America, with two Canadian and three American contenders. Additionally, digital animation dominates, with all five nominees utilizing the latest technologies in their creations, and all but one are first time nominees. In addition to my reviews and trailer links, I've suggested a similarly-themed Oscar nominated feature film to pair with each animated short nominee to create your own Academy-sanctioned double feature. Bring on the popcorn! Blind Vaysha, Theodore Ushev (Canada, 8 minutes). Born with one eye that sees the past, the other the future, Vaysha is doomed to never live in the present. Like a woodcutting come to life, this may look old fashion but it winds up being an intriguing commentary on our own contemporary culture of self-isolation. 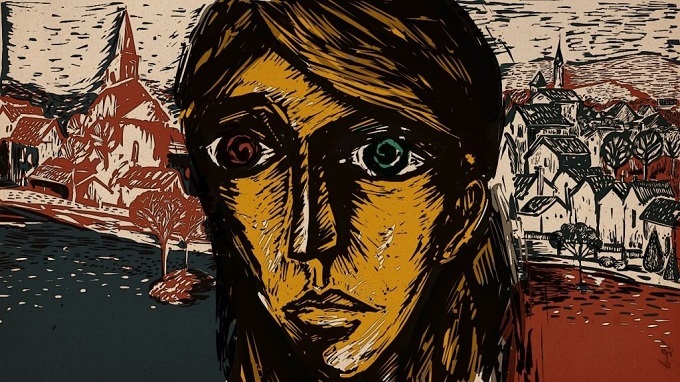 The most avant garde nominee here, Blind Vaysha (which was also nominated for an Annie Award) is based on a short story by Georgi Gospodinov and produced by the stalwart National Film Board of Canada, always a worthy presence in the shorts categories. Pair it with: Just like Vaysha, Kubo in Kubo and the Two Strings is a kid with something extra. Borrowed Time, Andrew Coats and Lou Hamou-Lhadj (USA, 7 minutes). A grizzled sheriff returns to the scene of an earlier tragedy that defined his life and haunted his every day. If this multi-festival award winner looks a little Pixar-ish to you, you wouldn't be far off; it's a product of their Co-op Program, which allows their animators to use company resources to produce independent films (yeah, ain't no way you're going to see something so grim like this in front of The Good Dinosaur). 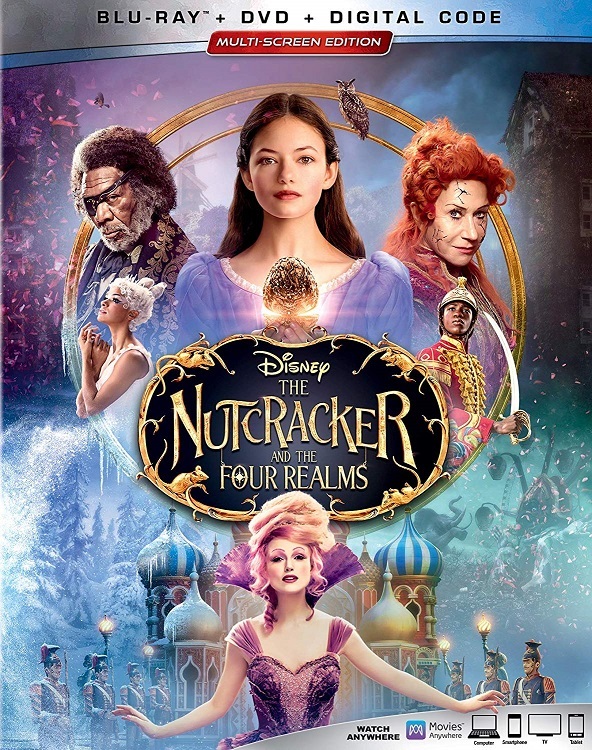 This is a great idea for Pixarians to stretch their creative muscles beyond family fare, but the slick production actually works against its themes of grief and atonement; a grittier style would have served the film better. Pair it with: With Hell or High Water, both share a bleak western setting. Pear Cider and Cigarettes, Robert Valley and Cara Speller (Canada, 35 minutes). A personal reflection on the filmmaker's longtime friend, the charismatic, self-destructive Techno, avid partaker of the title vices and owner of a failing liver that sends him to China for a shady transplant deal. Best known for Gorillaz music videos, Valley has an exciting, dynamic visual style heavily influenced by anime that will entrance you from the first frame and carry you through the story's seamier aspects (by now you should know this one is certainly not for the kiddies). Easily the longest of this year's animated nominees, it is also the most complex in its storytelling; there is no lionizing of its subject as is so often the case when a filmmaker is this close to the material. Ultimately the film (which recently won the Annie Award for Best Animated Special Production) is less about capturing the reality of a life lived hard and fast then about how that life forever impacts those who find themselves left in its wake. Watch trailer. Also available for rental or purchase on Vimeo. Pair it with: Another rebellious protagonist, Captain Fantastic. Side note: It's not hard to recognize a similarity in the appearances of the sheriff in Borrowed Time and Techno in Pear Cider and Cigarettes. And is it just me, or does Valley, who also narrated his film, sound a lot like this guy? Pearl, Patrick Osborne (USA, 6 minutes). 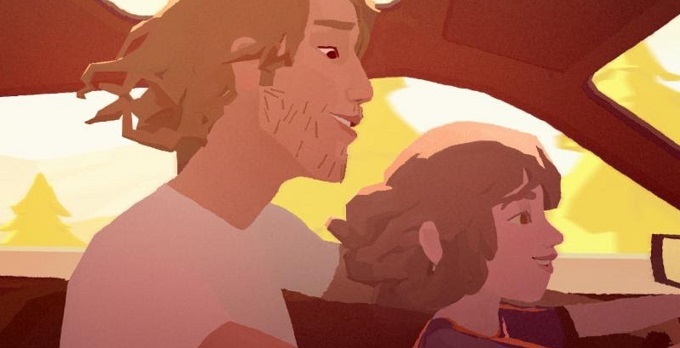 Told entirely from the inside of the titular well-used hatchback, Pearl tells the story of a father and daughter who travel the country chasing their musical dreams. The first virtual reality film to be nominated for an Academy Award (although technically voters will actually only see the standard version), viewers can control which angle to watch it from the point of view of the passenger seat. Co-produced by Google Spotlight Stories, you can try it out on YouTube. To the film's credit, the VR gimmick isn't necessary to the storytelling, a universal one that will resonate especially with artists and parents, and the featured original song "No Wrong Way Home" helps to make it memorable. Osborne won in this category just two years ago with Feast, and this short did quite well at the Annies recently, winning three awards in the TV/Broadcast categories. Pair it with: Musical dreamers are what La La Land is all about. 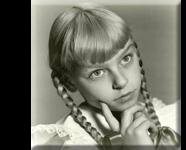 Piper, Alan Barillaro and Marc Sondheimer (USA, 6 minutes). 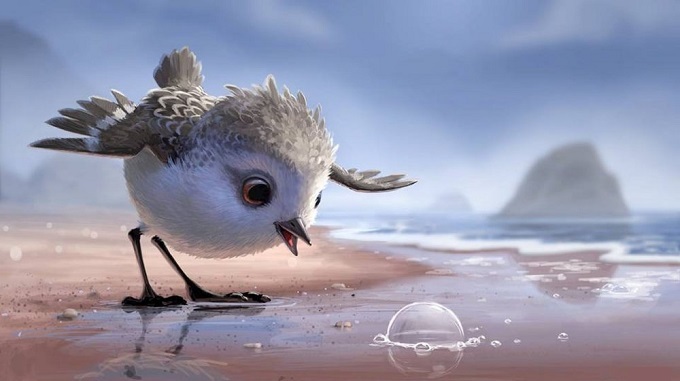 A fledgling sandpiper learns how to overcome her fear of the water in order to find food in this cute, simple tale from Pixar, which screened with Finding Dory in theaters and is also available as a bonus feature on its Blu-ray and DVD. Piper already beat out fellow Oscar nominees Blind Vaysha and Pearl at the Annie Awards, and if it wins the gold it will be the first Pixar short to do so since another feathered tale, For the Birds, did so way back in 2000. That may be an uphill climb though, as opposite its heavier competition here it looks even more slight then it already is, although it is certainly the most traditional "cartoon" of the bunch. Pair it with: Since Dory wasn't nominated, we'll match it up with the other ocean-set Disney release Moana. 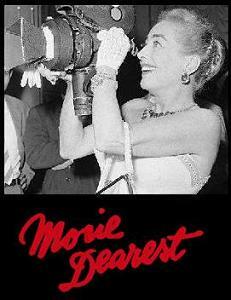 Coming soon: Part 2 takes a look at the five Oscar nominees for Best Documentary Short Subject.